Alex Ovechkin was awarded the game-winning goal in the fourth round of the shootout and the visiting Washington Capitals extended their winning streak to four games with an unusual 3-2 victory over the New York Rangers on Sunday afternoon. In the shootout Ovechkin did not actually put the puck in the net but as he released the shot, New York goaltender Alexandar Georgiev threw his stick in an attempt to stop it. Officials originally declared it was not a goal but following a review in Toronto, the call was overturned, Washington got the extra point and beat the Rangers for the sixth straight time. T.J. Oshie and Nicklas Backstrom scored in the shootout for the Capitals, who also won for the 11th time in 16 games and temporarily moved two points ahead of the New York Islanders into sole possession of first place in the Metropolitan Division. The Islanders lost at home to Philadelphia. Defensemen Kevin Shattenkirk and Anthony DeAngelo scored in the shootout for the Rangers, who lost their fourth straight game (0-1-3). 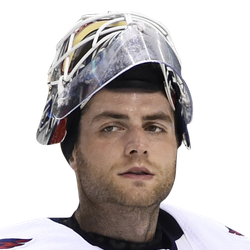 Braden Holtby made 22 saves in the first 65 minutes and then stopped Mika Zibanejad and Filip Chytil in the shootout. Georgiev made 37 saves before the shootout, including a point-blank stop on an Ovechkin breakaway with about three minutes left in overtime. Ryan Strome and Pavel Buchnevich scored in regulation for the Rangers while Carl Hagelin and Andre Burakovsky tallied in regulation for Washington. Ovechkin saw his eight-game points streak halted though he led the Capitals with six shots on goals. The teams traded goals in the first 2:03 of the game. 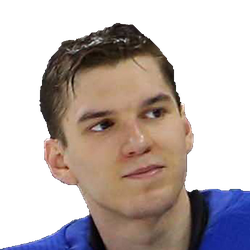 The Rangers took a 1-0 lead when Strome scored following a turnover by Dmitry Orlov behind the net and Washington tied it when Hagelin's backhand pass through the slot was deflected into the net by New York defenseman Libor Hajek. Washington went ahead midway through the first when Burakovsky sped into the offensive zone, moved to the right faceoff circle, waited for Rangers defenseman Marc Staal and fired a wrist shot past Georgiev's glove side. The Rangers tied the game with 5:40 remaining in the second thanks to a nifty pass by Chytil, who got the rebound of DeAngelo's point shot and made the pass to Buchnevich while being knocked down by Orlov. Buchnevich finished it off by lifting a wrist shot into the upper left corner of the net before Holtby could get into position for the save.